Flaunting an Italian-made sleek design, this opulent buffet with a lacquered finish will add a contemporary touch to your décor. A clever way to incorporate European luxury and functionality into your space. Top it with a few pillar candles and metal accents for a trendy and refined look, and take advantage of its handy drawers and cabinets to neatly stash your belongings away. 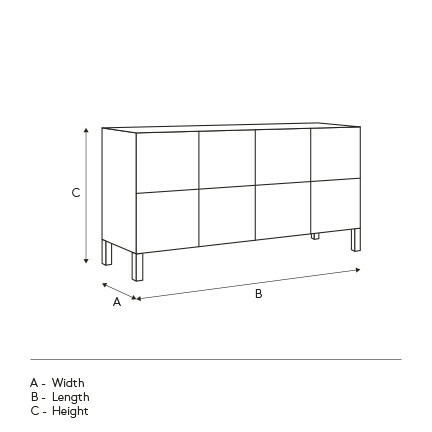 In your dining room, living room or bedroom, this piece of furniture will meet all of your storage needs.